Who doesn't love a good sauna session? From the crackling fire and exhilarating warmth of a traditional sauna to the ease of use of the new infrared models, there is nothing quite like the feeling you get when you enter a sauna. Our team of sauna lovers includes experts and enthusiasts, builders and users, with one thing in common. We all really enjoy using the sauna. Our goal on Sauna Talk is a simple one. Sharing our knowledge with others, whether they are looking to buy a new one, build one from scratch or talk about one that they currently own. We are proud to be featured around the web for our expertise on the topic. We've contributed to a number of authority entities online, and have answered hundreds of questions about saunas at various websites like Yahoo, Quora and Answers. The Finnish or hot rocks sauna is the best known type of sauna. Also known as a wet/dry sauna, these traditional sweat lodges heat the air to a temperature of 180°F which in turn heats the body. 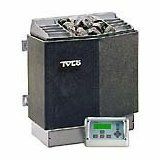 This type always uses sauna rocks set atop a heater, and the heater can be electric, gas, or wood-fired. When water is poured on the rocks, the temperature rises temporarily as a dry steam fills the room. 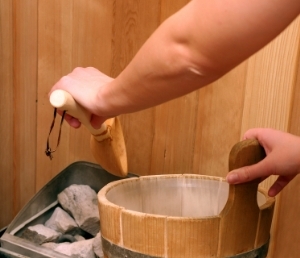 Infrared saunas look much like traditional saunas, but they do not use rocks and do not produce steam. 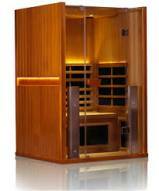 Instead, ceramic sauna heaters are used to emit a pleasant form of radiant heat energy known as far infrared ray. The air in the sauna is not heated but the invisible wavelength is able to heat the body directly. It sounds like science fiction but the technology is safe and common; not only is infrared light emitted by every living thing on earth, these types of heaters are used on premature babies in hospital incubators. We’ll give you tips on ways to enhance your enjoyment of home saunas among the different choices of heaters, wood, parts, kits, custom designs, accessories and more. Here is our list of the 5 best infrared sauna companies on the market: brands with strong values, high quality and great customer service. Home sauna kits are widely available and genuinely affordable. 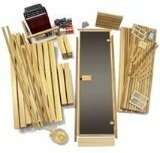 If you don’t want to build your own sauna, you can get a modular kit. 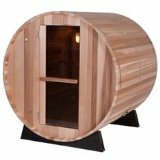 We’ll also take a look at portable saunas, outdoor saunas, barrel saunas, steam saunas or home infrared saunas, custom saunas - just about all types of saunas for the home. We will discuss how to build a sauna, and compare the pros and cons of buying pre-built units versus pre-cut kits. Our goal at this site is to provide useful information about all things relating to home saunas. We are constantly reviewing and updating our site in order to bring you the latest and most valuable news, tips, and product information on saunas and how best to use them as both a stress buster and a way to alleviate health issues. We strive to give you information you can utilize to indulge your passions about saunas and their far-reaching benefits.